I am a physician who is dedicated to improving the lives of women with gynecologic cancers. I am a board-certified gynecologic oncologist who, for more than 15 years, has used my skills as a surgeon to provide high-quality and compassionate care to women with ovarian, uterine, cervical, and vulvar cancer at Memorial Sloan Kettering Cancer Center. I have special training and expertise in surgical debulking of ovarian cancer and the use of minimally invasive surgery for the treatment of uterine and cervical cancer. In addition to surgery for gynecologic cancers, I have a special interest in the prevention and treatment of cervical and vulvar dysplasia and carcinoma in situ. My years of education and training — including graduating with honors from Harvard University and receiving my MD from Columbia University, where I was elected to the Alpha Omega Alpha honor society — have helped prepare me for the unique challenges of caring for women with cancer. I have received honors and awards including the first Malcolm X Memorial Scholarship from Columbia University’s College of Physicians and Surgeons, and the American Cancer Society’s Clinical Oncology Career Development Award for my research in cervical cancer. I was named one of “America’s Leading Physicians” by Black Enterprise magazine in 2001 and 2008 and am listed in “Top Doctors in the New York Metro Area 11th Edition” by Castle Connolly in 2007. I work to improve the quality and delivery of cancer care to women on a national level through my healthcare policy and advocacy activities. I have or currently hold committee positions including Chairperson of the New York State Department of Health Ovarian Cancer Information Program Advisory Council, Advisor for Special Populations for the Gynecologic Oncology Group, Chair of the Government Relations Committee of the Society of Gynecologic Oncologists, and Delegate to the American Medical Association, where I am also Chair of the Cancer Caucus. 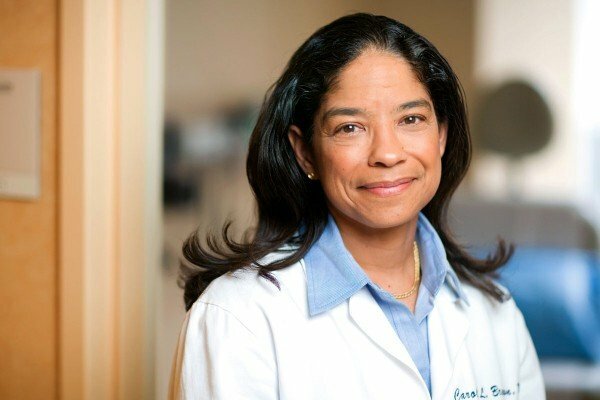 In addition to taking care of women with cancer, my career is focused on the reduction and elimination of cancer health disparities experienced by medically underserved populations; and promoting public policy to increase awareness, improve care, and increase research funding for gynecologic and other cancers both locally and nationally. “Palliative surgery in ovarian cancer.” Brown CL, Lewis JL Jr. In: Cancer of the Ovary. Markham M, Hoskins W, eds. New York: Raven Press; 1993: 217-228.